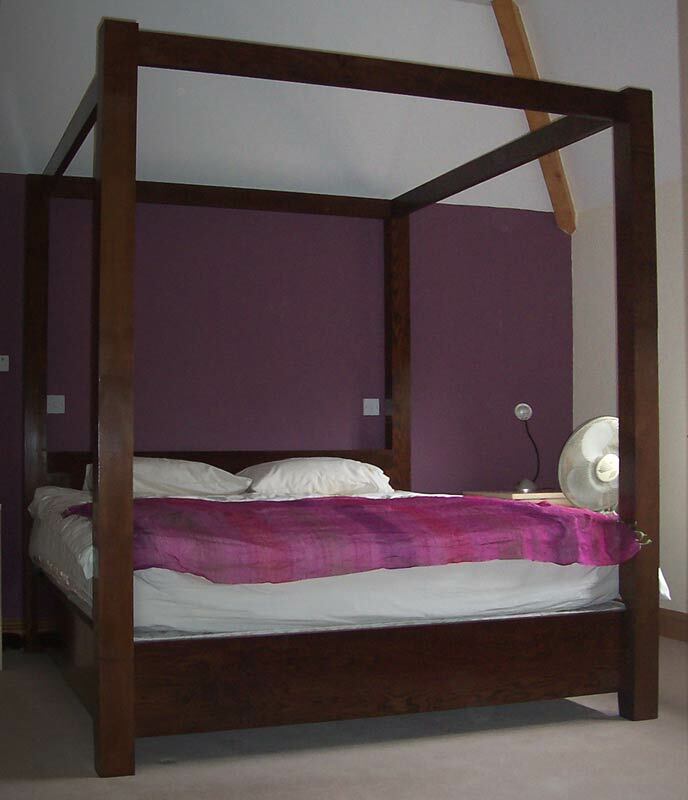 Contemporary and Modern Four Poster Beds, and other furniture. 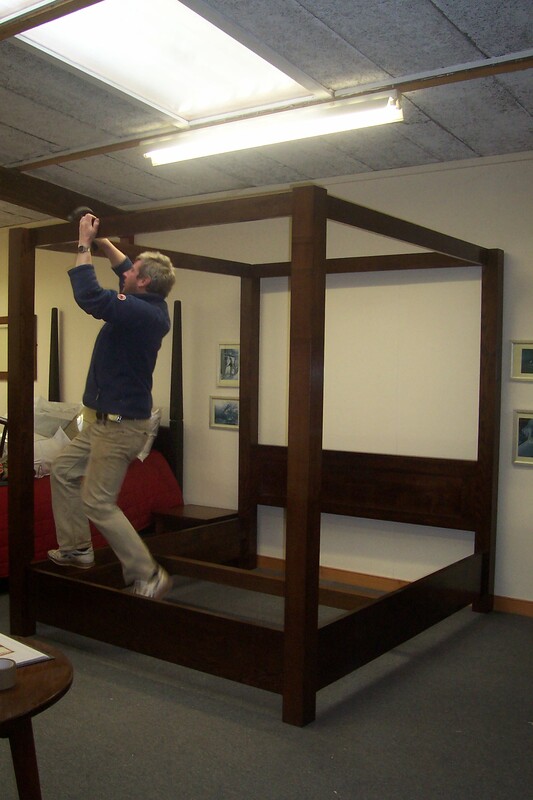 We are always trying to come up with new designs of beds, modern four poster beds, and other contemporary furniture. 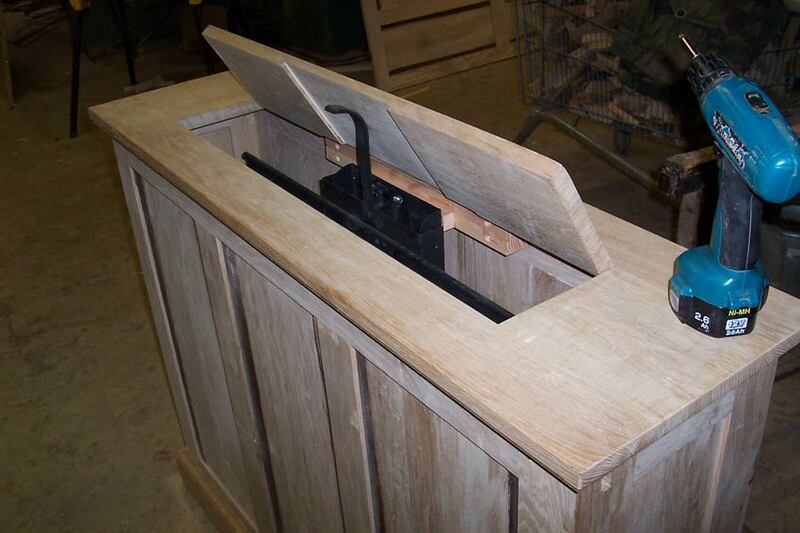 The photos on this page show some designs that we have made for previous customers. It also has some concept ideas that we have come up with in the workshop. 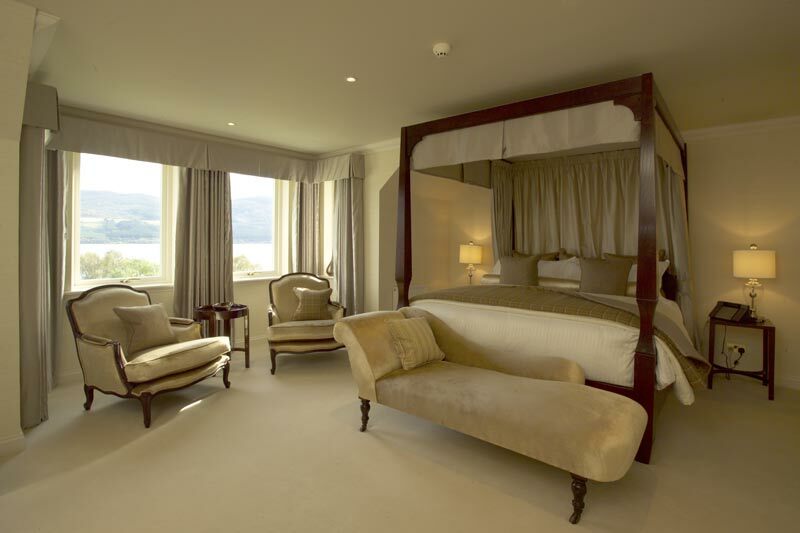 If there is anything that you like on this page, then please let us know. 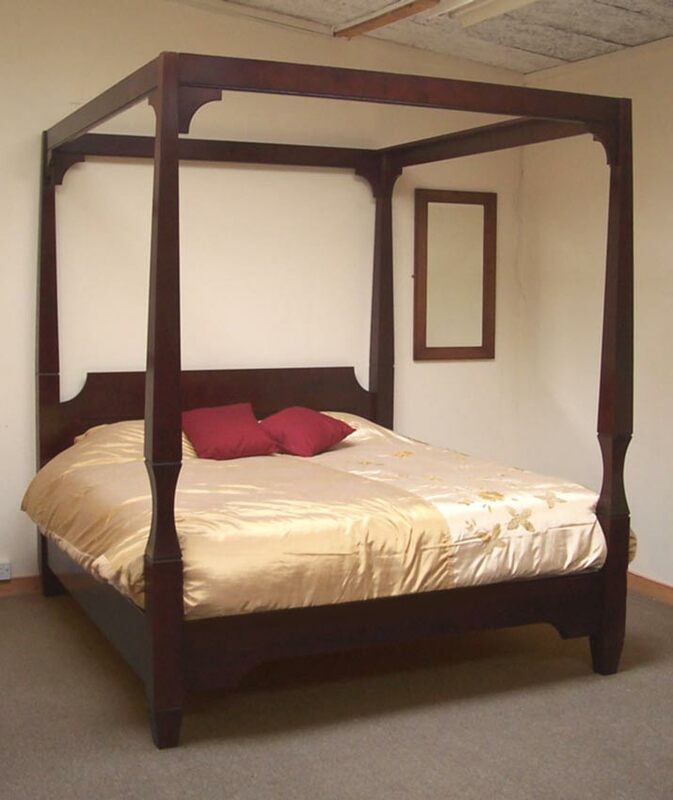 We love to come up with modern four poster beds and furniture for our customers. 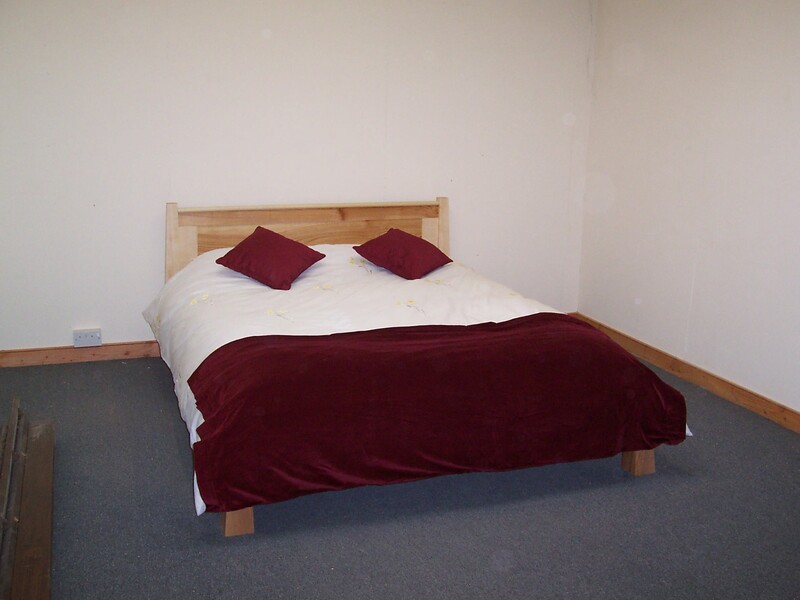 Our square bed is a very minimalist and modern take on the four poster bed. 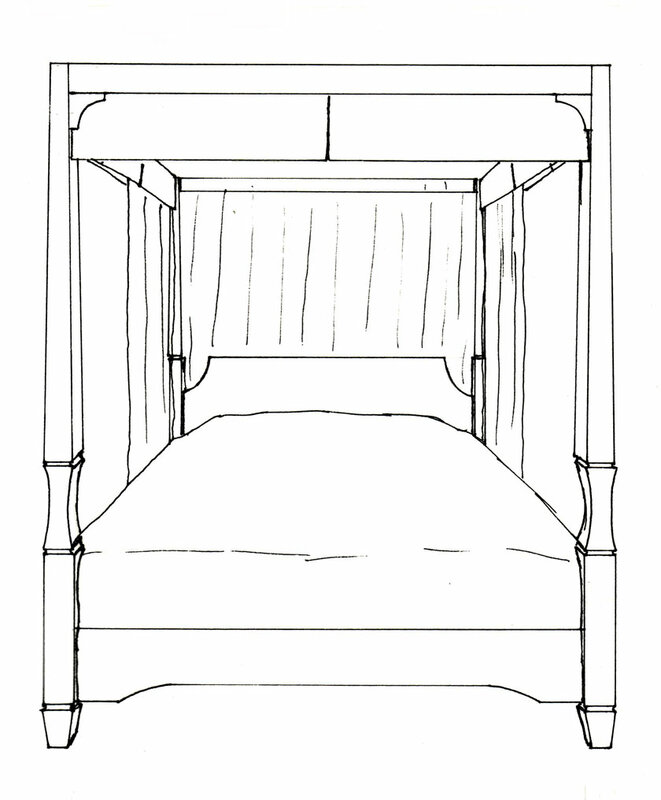 As seen in the pictures, the bed is built with four legs, three rails, a head board and the flat canopy pieces. 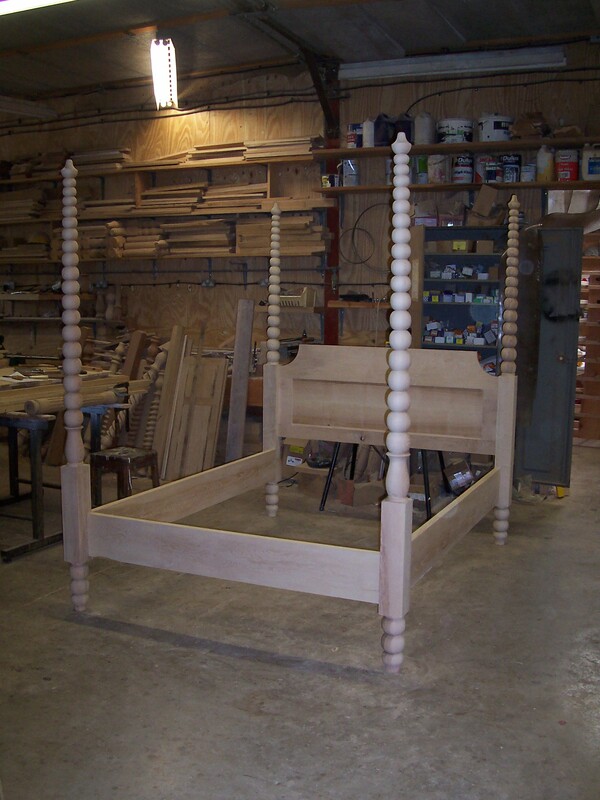 The headboard is built as a frame and has a flat ash front that is clipped on. 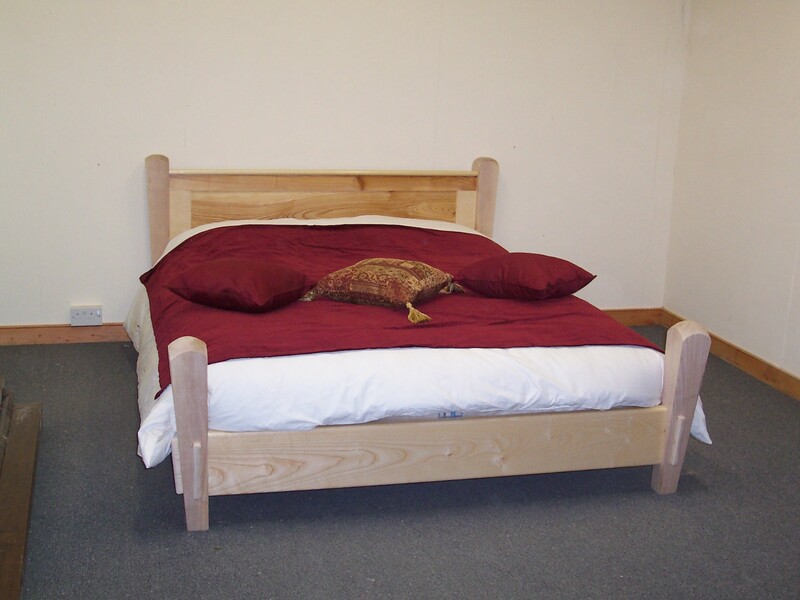 We offer this bed painted or polished, with a smooth finish or hand planed. Feel free to send us an enquiry if you’re interested! 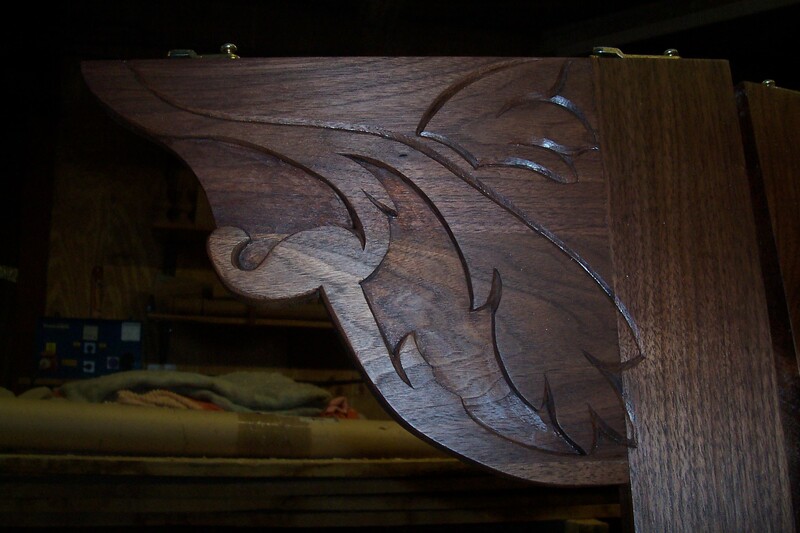 The headboard can either be upholstered or single paneled with beading. 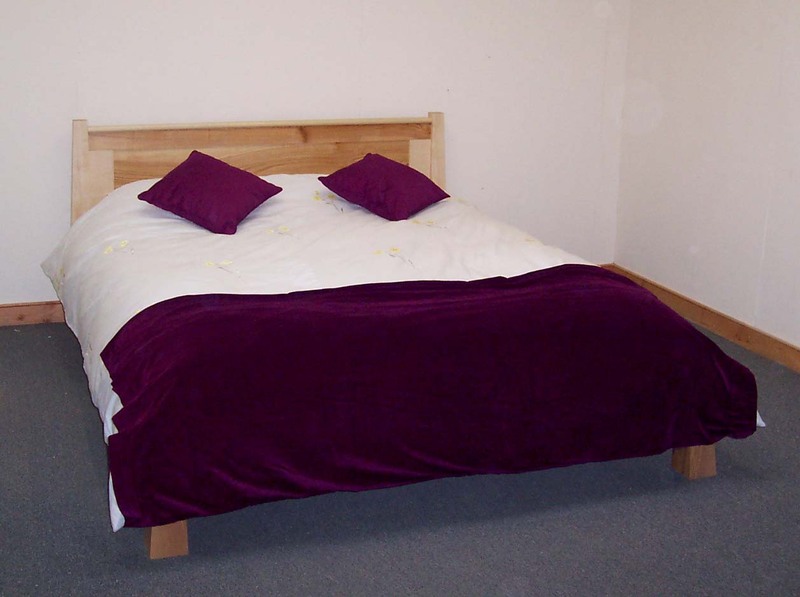 This bed is available exclusively in smooth finish and can be polished or painted. 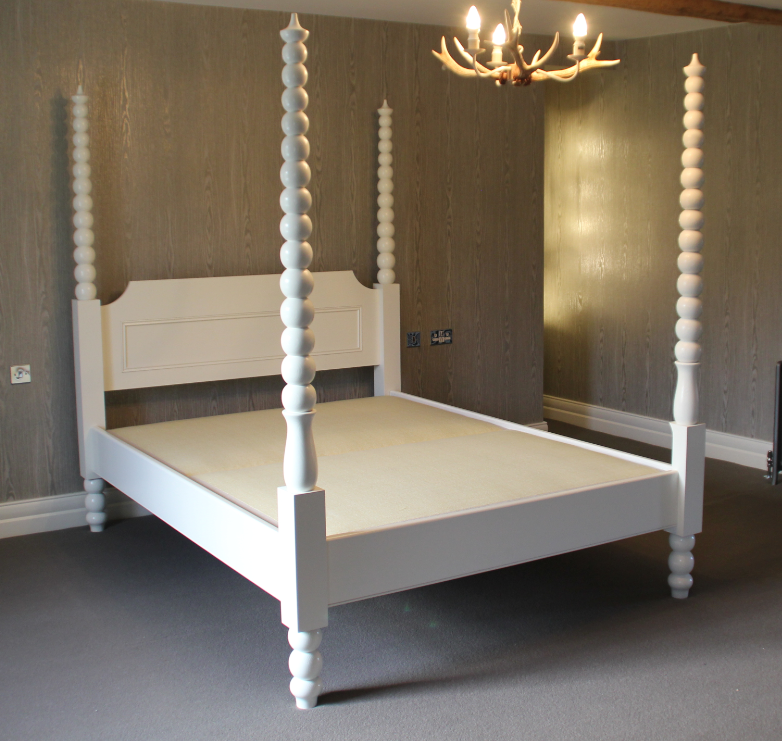 Our most popular colours are grey and white, which we feel shows off the beds design best. 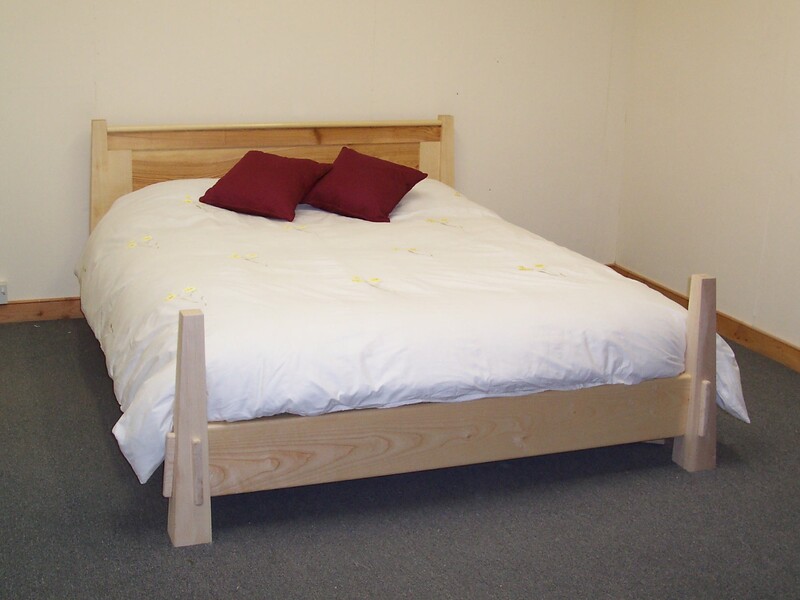 Combining ideas from our Tapered Leg Bed and our other Low Beds, we came up with this simple and ergonomic design. 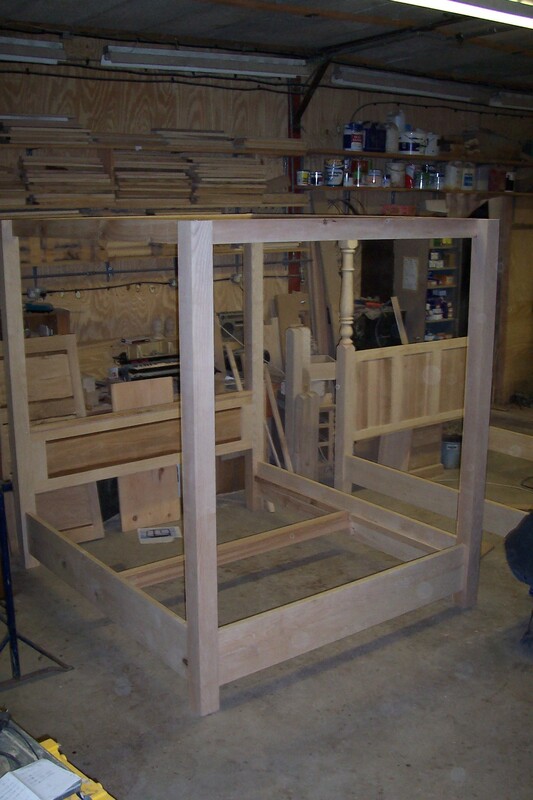 The pictures show different takes on the same design, with the focal point being the posts. 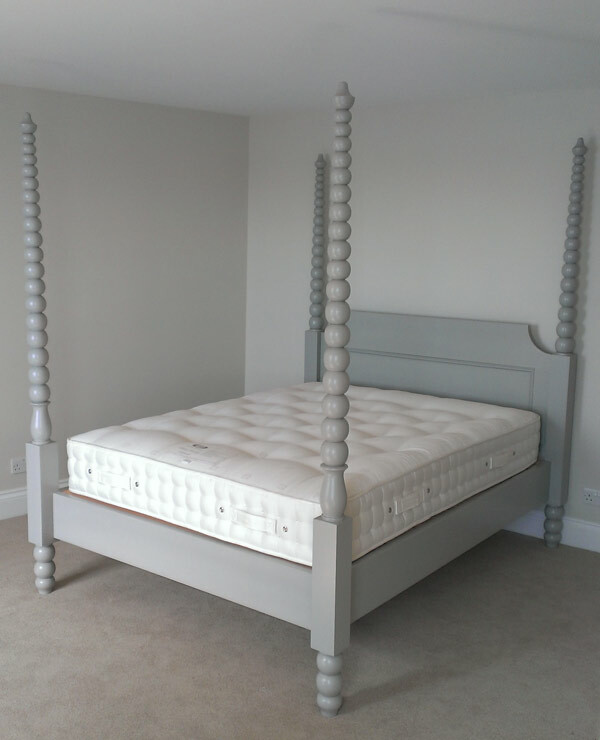 The posts for the bed can either be made to stand above the mattress, tapered in or out, or can be made lower, so the duvet sits on top of them. 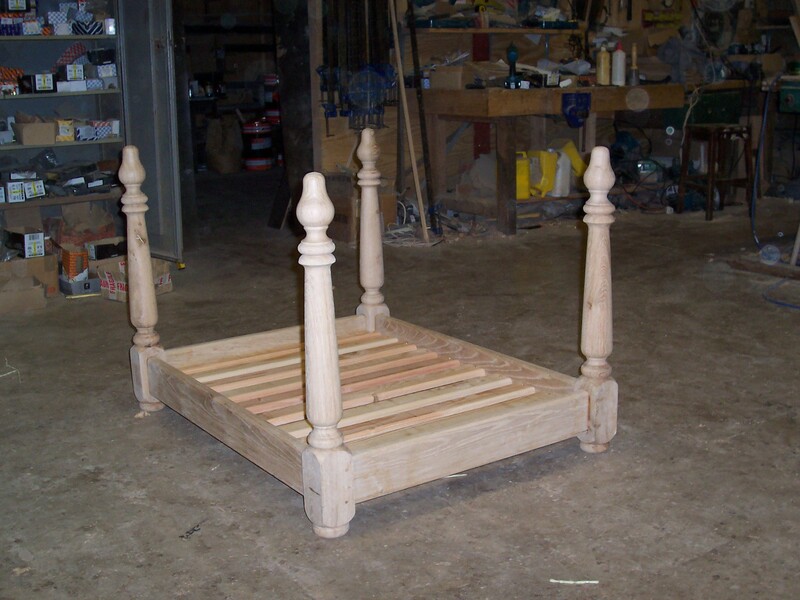 Here is a bespoke bed we made for a customer in 2003. 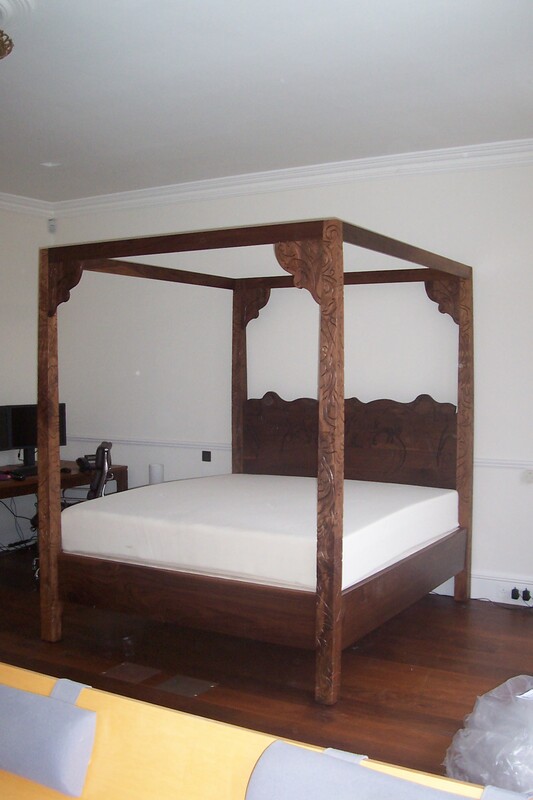 As we don’t usually use Walnut as a timber for our furniture, this was a unique opportunity to create another one of our modern four poster beds. 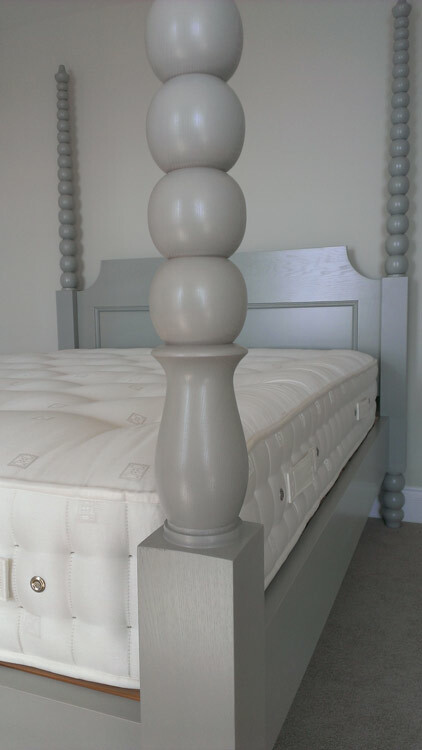 The posts and frieze were all hand carved to match a design in the customers’ house and the bed was finished in a natural colour. 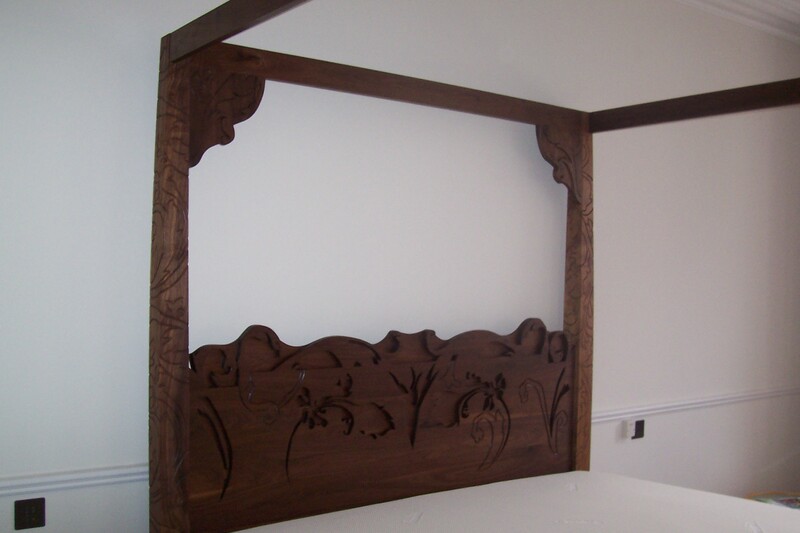 Interestingly, the headboard was designed in two parts. 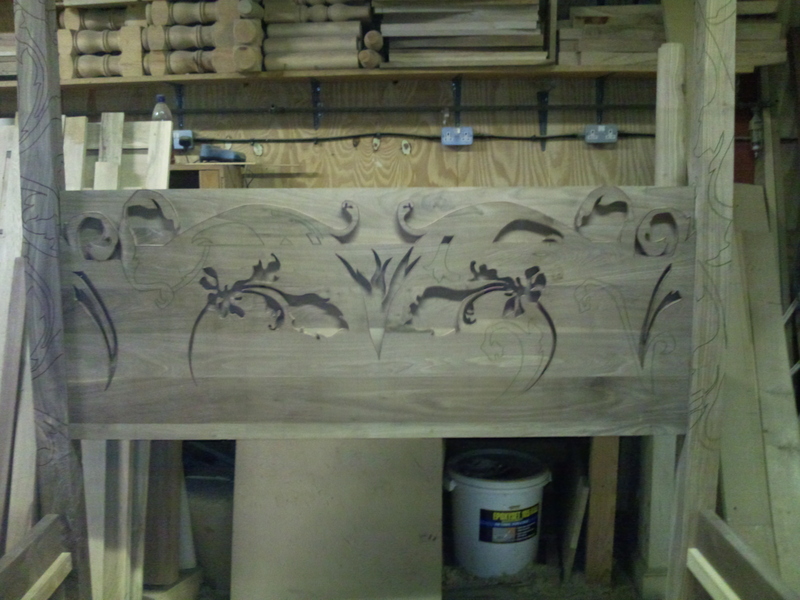 The back of the headboard was made by gluing 4-5 boards together and cutting the top to the correct shape. 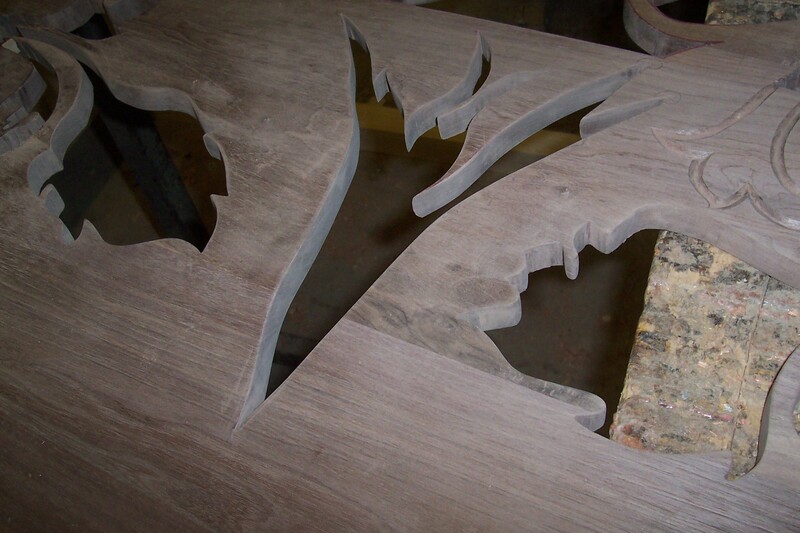 The front was then made with the same process, though templates were drawn onto it and cut out with a jigsaw. The two pieces were then glued to each other to create a 3D effect. 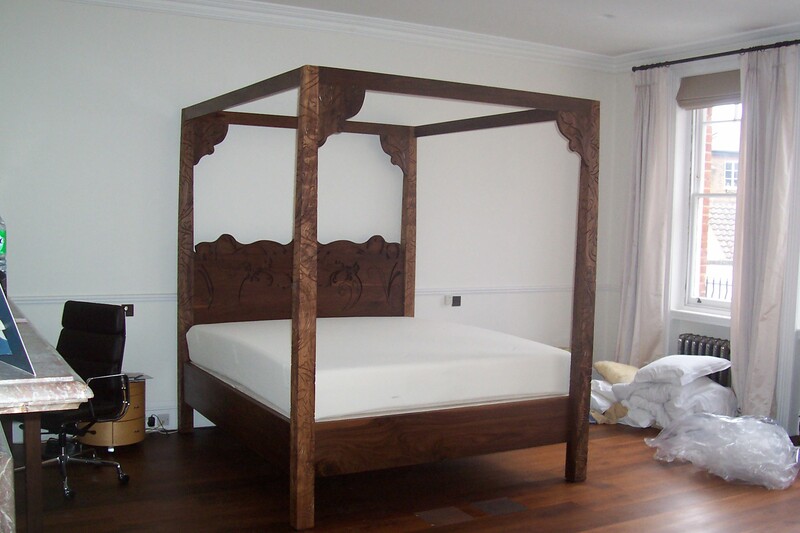 The images show the bed made in a dark stained Mahogany, smooth finish. 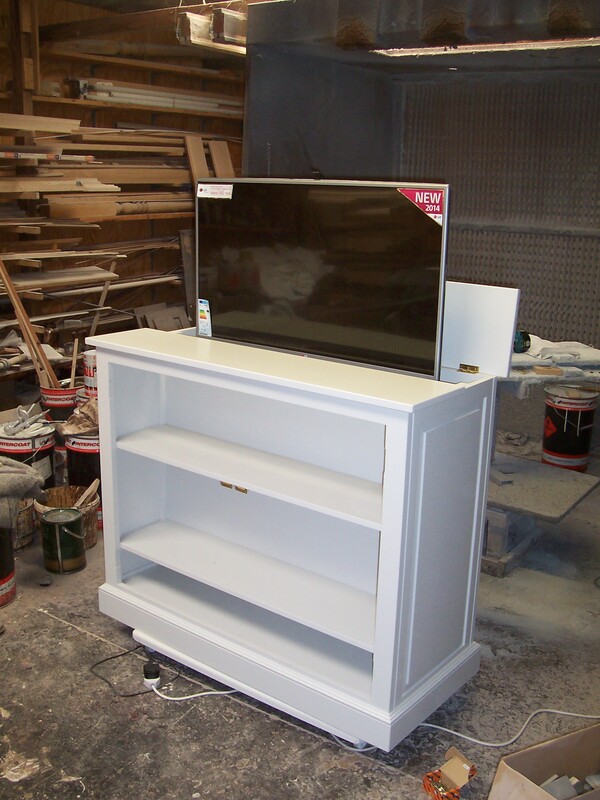 With flat screen televisions becoming more common in most modern homes and hotels, we have lately had a lot of interest in the production of TV cabinets. 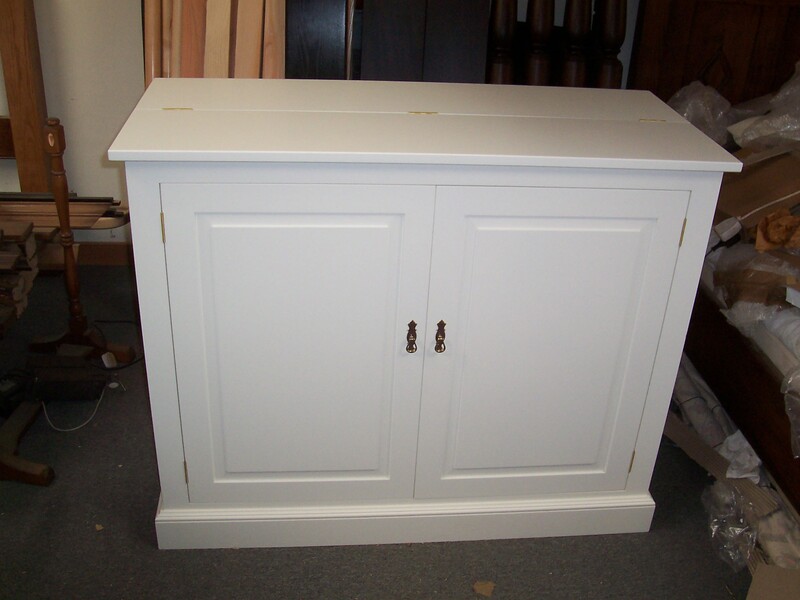 Our cabinets are a great way of utilising living room or bedroom space by hiding your TV beneath the lid when it’s not in use. The television is mounted to a lift hidden inside the unit and can be raised or lowered with a remote. Shelves are placed on the inside to house sky boxes, DVD players, sound systems, films and CDs. 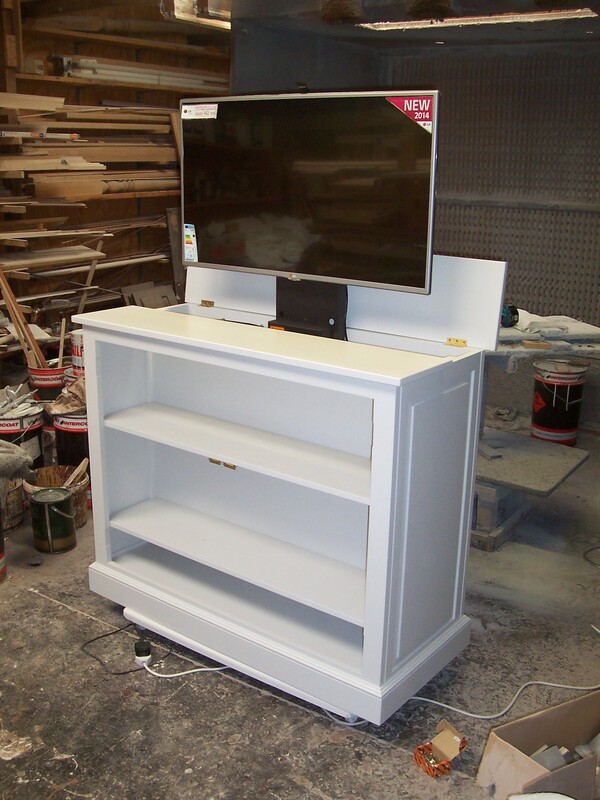 Different designs for our TV cabinets are available and we’re always open to new bespoke ideas from our customers. Here is a design that Steve came up with some years ago. 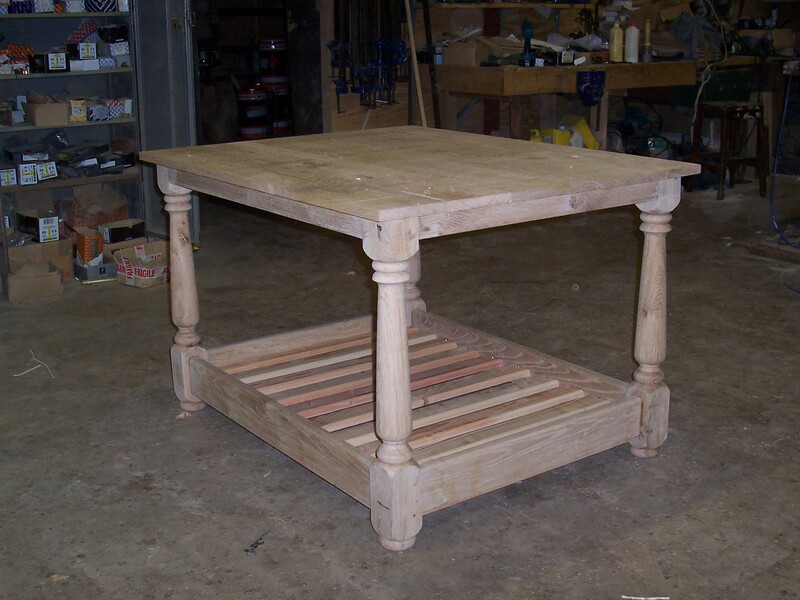 The Design incorporates our pencil posts and a standard table top. 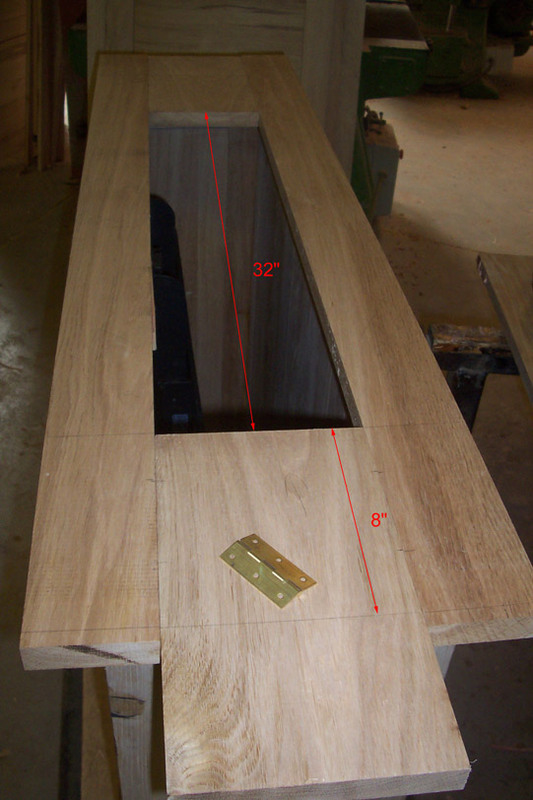 The bottom of the table has slats for a dog bed to sit on and the table top is detachable.